Scott Elmquist The No. Six line takes about 30 minutes to get between Willow Lawn and downtown along Broad Street. A high-speed bus will make the trip go a little faster. For years, the Richmond area never has seemed to get its act together on regional transportation. There’s no truly regional public bus or rail service. 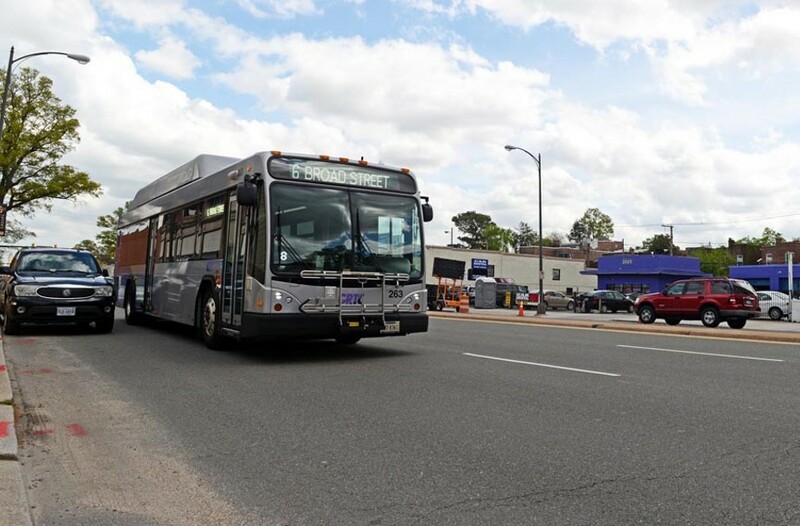 But that might be changing now that GRTC is finishing a plan for a $54 million, high-speed bus line down Broad Street. It’s cheaper than putting in light rail the way Norfolk has, and with only 14 stops (at first) it seems fairly simple. It will run between Willow Lawn and Rocketts Landing. Not everyone’s happy. And a lot of folks think it’s an odd way to use resources. But the hope is that Bus Rapid Transit, also dubbed Pulse, will work so well that it might grow new appendages. Mayor Jones hopes it may be extended to Short Pump, Henrico’s shopping and entertainment magnet.